Spice Brasserie is the main eatery in The Light Hotel. 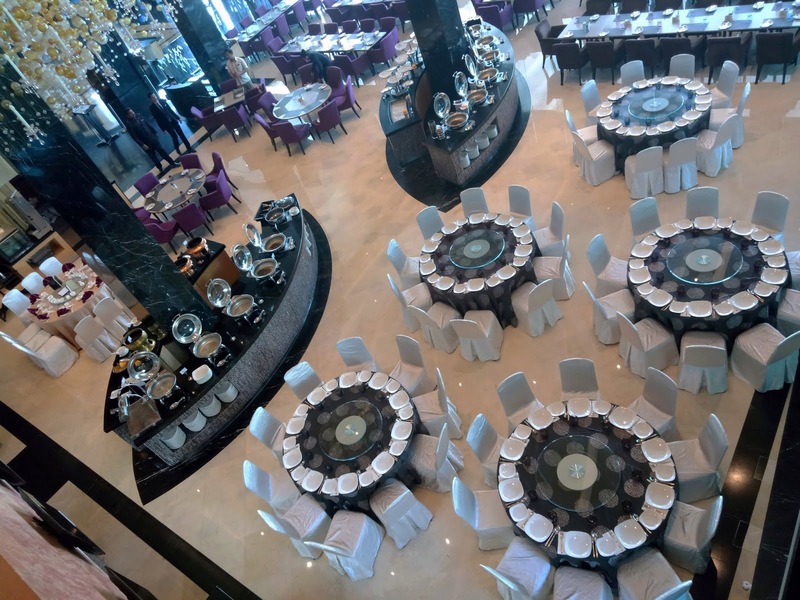 Located next to the lobby, the all-day dining restaurant of this 5-star hotel is furnished with glossy marble on the floor, walls and food counters. Furthermore, fancy ornaments hang gracefully from its high ceiling. 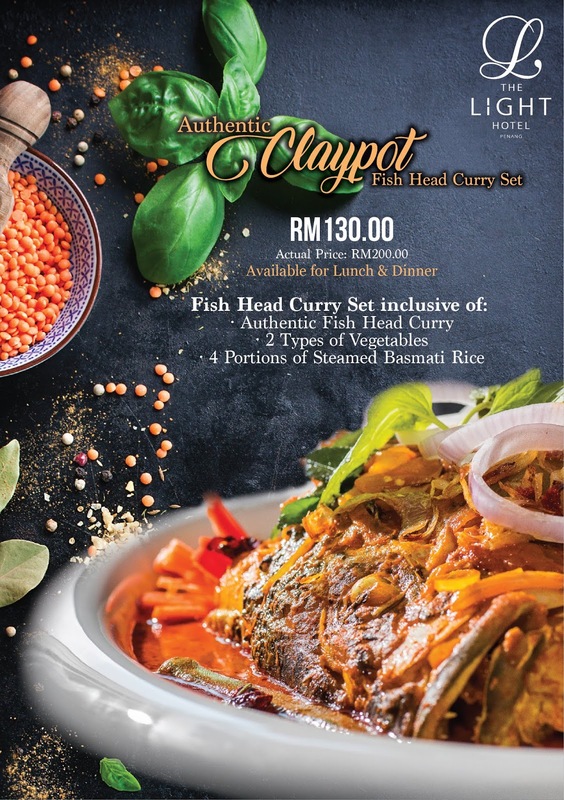 In conjunction with National Day celebrations, The Light Hotel is offering the Authentic Claypot Fish Head Curry Set. 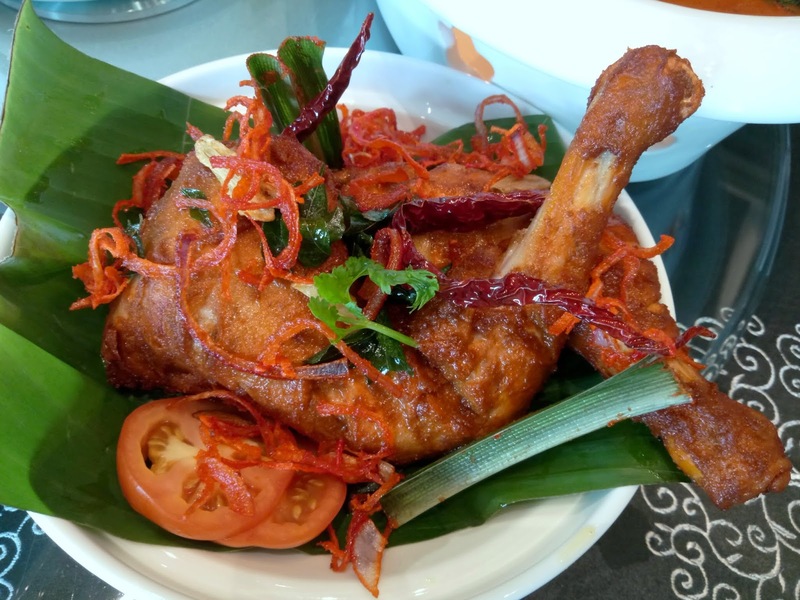 The signature dish is the culmination of Executive Chef Halim's interpretation of famous nasi kandar recipes that he sampled over the past 6 months. 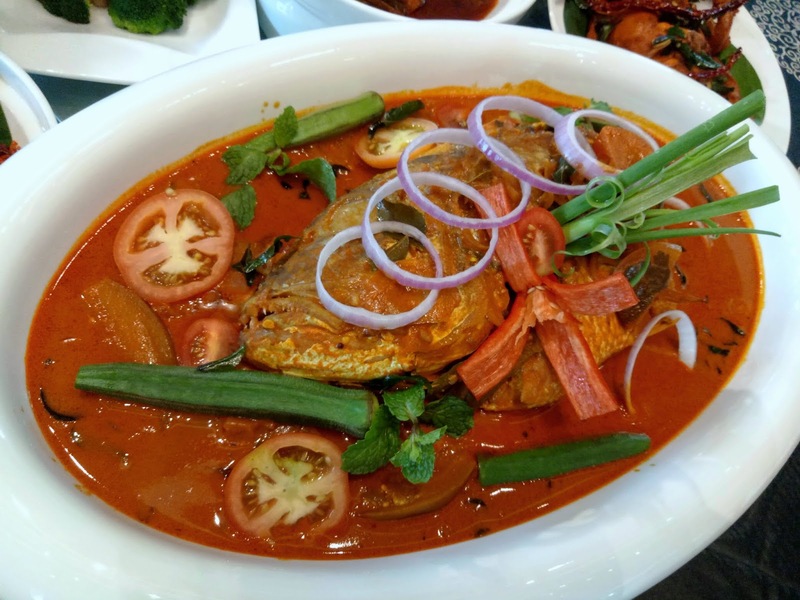 Weighing between 0.8 and 1.2 kilograms, the head of red snapper is used to prepare the Fish Head Curry. The fish's unique texture allows it to remain firm after braising. Meanwhile, the curry is concocted from a variety of herbs and spices including tamarind. A hint of sourness makes this dish so appetizing. Also included in the curry are okra (lady's fingers), eggplants (brinjals), tomato and mint leaves. The Fish Head Curry (RM200.00) comes with 2 vegetable dishes and 4 plates of basmati rice, making the set meal ideal for 4 persons. 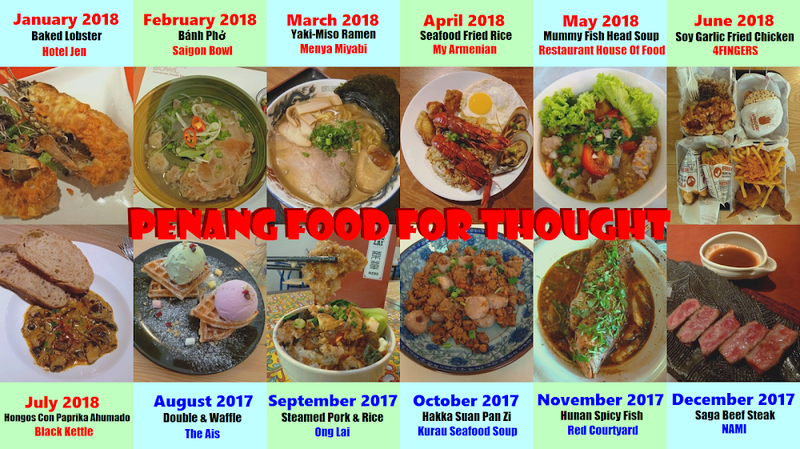 From 8 August 2018 to 16 September 2018, the set meal is offered at a special price of RM130.00 only. The à la carte menu also includes popular dishes from Penang's nasi kandar scene. 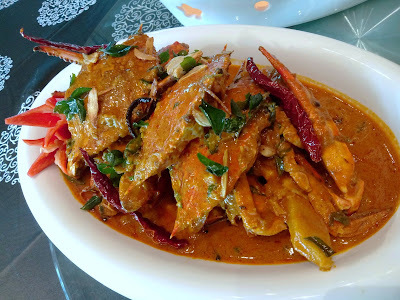 An example is Crab Curry With Mantau (RM48.00). Flower crabs do not provide as much meat as brown crabs, so their main role is to lend their rich taste to the curry. This dish comes with a plate of fried or steamed mantou. Mantou (馒头) are Chinese buns that do not contain any filling. 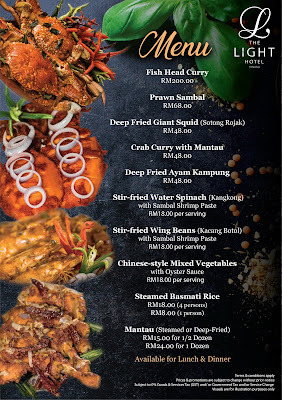 As for Prawn Sambal (RM68.00), the main savoriness lies inside the heads of these large shrimps. 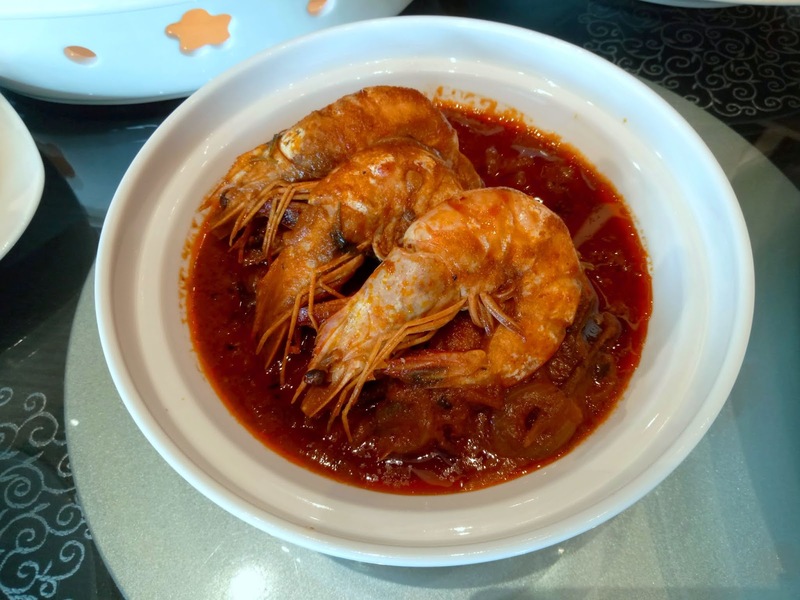 Meanwhile, the gravy in which the shrimps are cooked is moderately spicy but also has a gentle taste of sweetness. 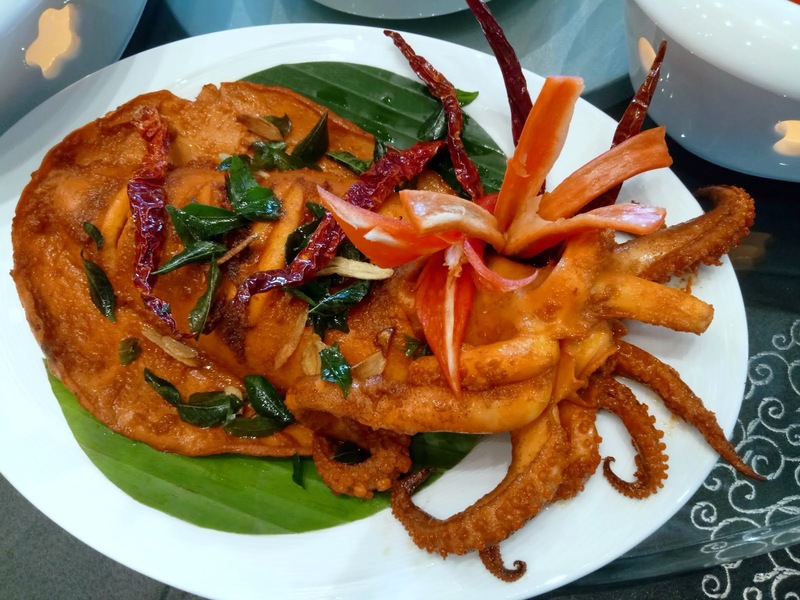 The Deep-Fried Giant Squid (RM48.00) is a delicacy indeed. The mantle of the squid is slit open and then flattened in order to season it thoroughly. With springiness which is neither too rubbery nor soft, the squid is scrumptious to the last morsel. Next is a poultry dish, Deep-Fried Ayam Kampung (RM48.00). The fried chicken is garnished with a copious amount of fried shallots to enhance its aroma. Free-range chicken is used in this dish. 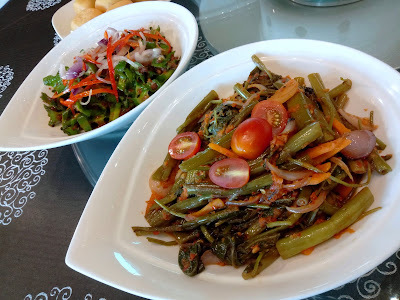 Moving on to vegetables dishes, Stir-Fried Water Spinach (RM18.00) and Stir-Fried Winged Beans (RM18.00) are each braised with sambal (chili paste) and belacan (shrimp paste). Both dishes are moderately spicy and are delectable in their own right. For diners who prefer non-spicy vegetables, the Chinese-Style Mixed Vegetables (RM18.00) is a sound choice. 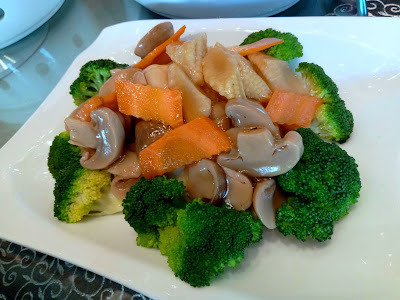 An assortment of broccoli, carrots, baby corn and button mushrooms are cooked in light oyster sauce. 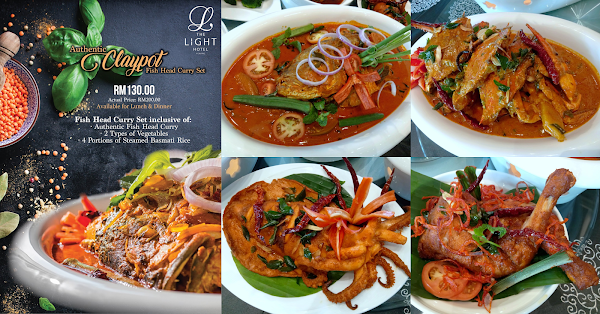 The Light Hotel's latest promotion is available for lunch (12:00pm-2:30pm) and dinner (7:00pm-10:00pm) at Spice Brasserie. 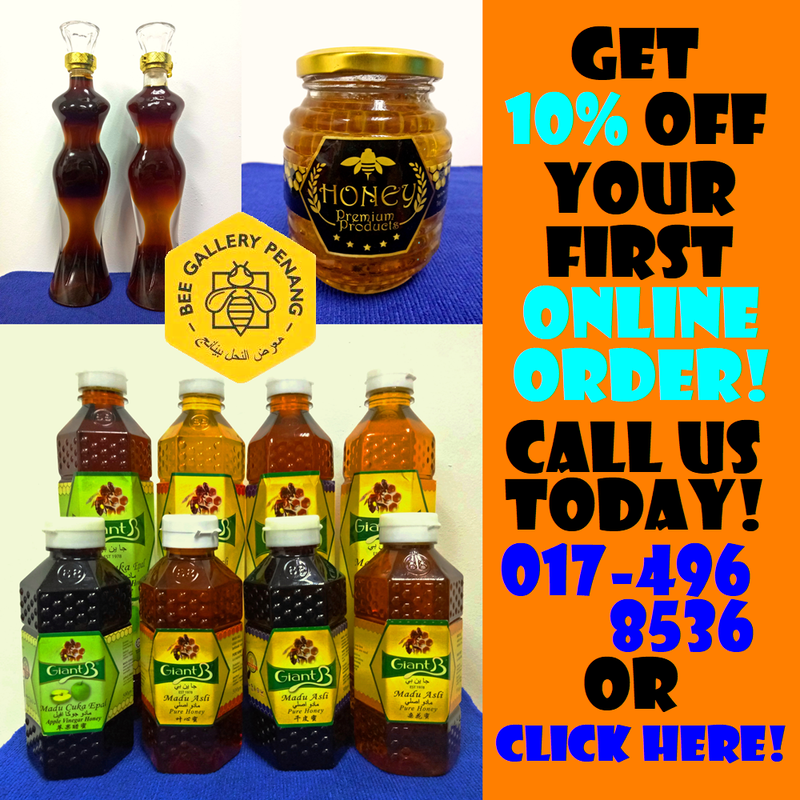 Prior reservation is highly recommended as it takes time to prepare the dishes. 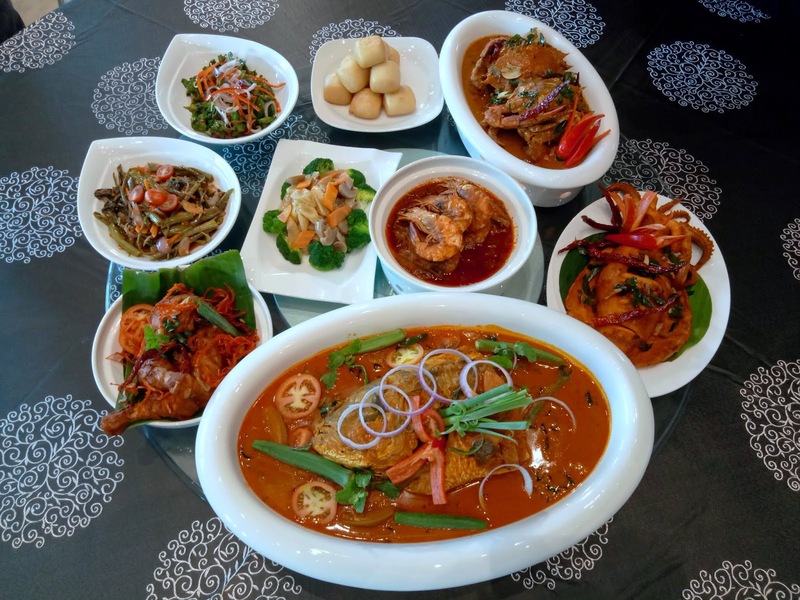 These dishes will not be made available in Spice Brasserie's daily buffets, but they can be served in banquets upon special request.